Members of the International Court of Justice at the opening of the public hearings over the Proceedings instituted by Timor-Leste against Australia (Request for the indication of provisional measures filed by Timor-Leste). 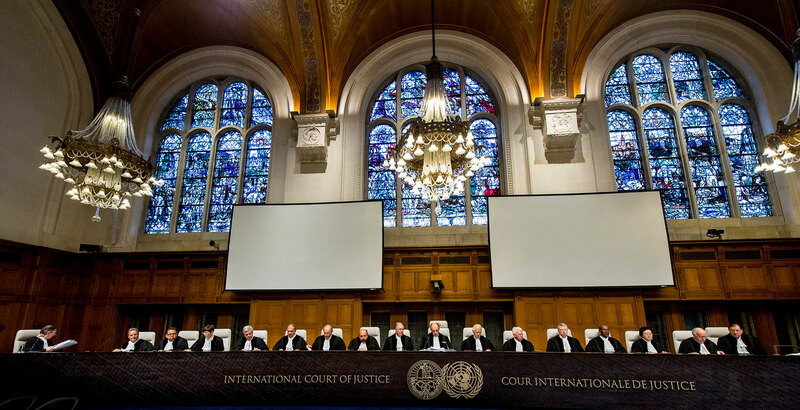 Copyright: UN Photo/CIJ-ICJ/Frank van Beek. Courtesy of the ICJ. All rights reserved.